Join us for our next Project Meeting and help promote the upcoming special session with Horizons’ Reading to End Racism partners. 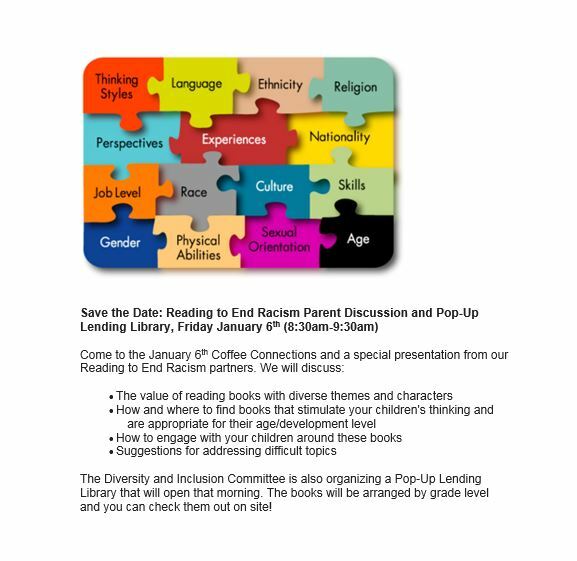 On Friday, January 6th the Diversity and Inclusion Committee will join with the Reading to End Racism program to offer a session for parents on selecting, reading and discussing with your children books with diverse characters and themes. The discussion will take place from 8:50am – 9:30am, following Coffee Connections, and we want to get the word out and have a good turn out for this very important message. In support of the presentation, we’ll be putting up informational materials around the school on 12/15. Everyone is welcome to the project meeting (12/15) and also to the presentation (1/6). Looking forward to seeing you! Do you know about Amazon Smile? Do you regularly order things from Amazon? Simply go to www.amazonsmile.com. You will be prompted to put in the name of where you would like a percentage of sales to go: Horizons K-8 School. After that, Horizons will continue to receive a percentage of your sales. With holiday shopping in mind, this is a great time to do this. We have gift cards on hand for your holiday purchasing. These make great stucking or Menorah stuffers. The Horizons Band Performs !!!!! 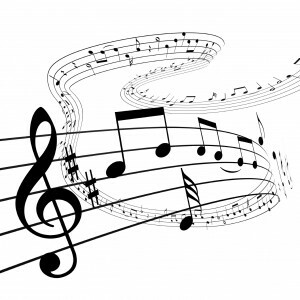 Come to Horizons Wed 12/7 and hear our band and orchestra perform…..
Usborne books were for sale at our Artastic Fair, and they still are! Go to ReadingisfunwithJennJones.com to shop online. At check out they will use the Horizons K-8 link in the drop down box. Any sales online that are logged properly will be counted towards Horizons profits. Give the gift of books!. There is still time to report Trip Tracker trips for November 2016, simply click on this SURVEY LINK. The November trip survey will be open until midnight Tuesday, December 6 … that’s tonight! We will begin displaying our Lost & Found items on Thursday of this week, 12/8. We will leave it on tables and visible until Fri 12/16, at which time, what remains will be donated. Come and take a look.